You decided to make a phone call today which had both Nanny and I in stitches laughing. I had just got off the phone to Nanny and had gone up stairs to change Preston’s nappy and clothes while you continued to play in the bedroom. Meanwhile you had picked up my phone and made a call. Nanny answers “Hello” (thinking it was me) only to hear this cheeky voice, clear as day in return say “Hello Nanny!! !” Trying to work out what was happening, Nanny asked “Where’s Mummy” to which you replied “Baby P, bum, nappy” in your little broken sentences. Nanny not realising that I was upstairs asked you to take the phone to me, which you happily replied “Yes!” Next minute she hears the bang bang of you climbing the stairs with the phone, to which Nanny asked “Addi are you climbing the stairs? !” Proud as punch you answer “Yeah!! !” With the sounds of Preston getting louder and closer on the phone, you run on into me and throw the phone on the bed next to Preston. 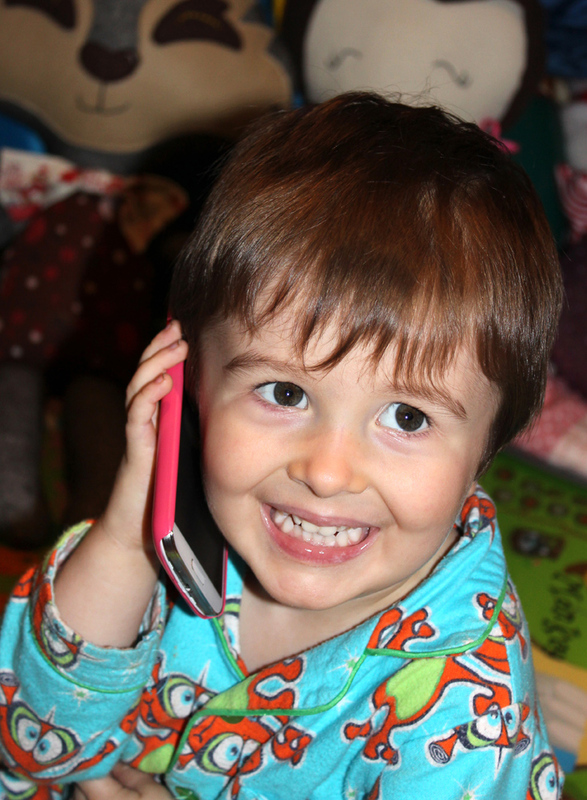 At which point I ask you “What have you got Mummy’s phone for?” that’s when I see it light up with an active call!!! At least I know that if I ever need you to make a call in an emergency you can! I didn’t get to take a photo of the actual moment, but this photo shows just how proud you were to have made a phone call to Nanny! !